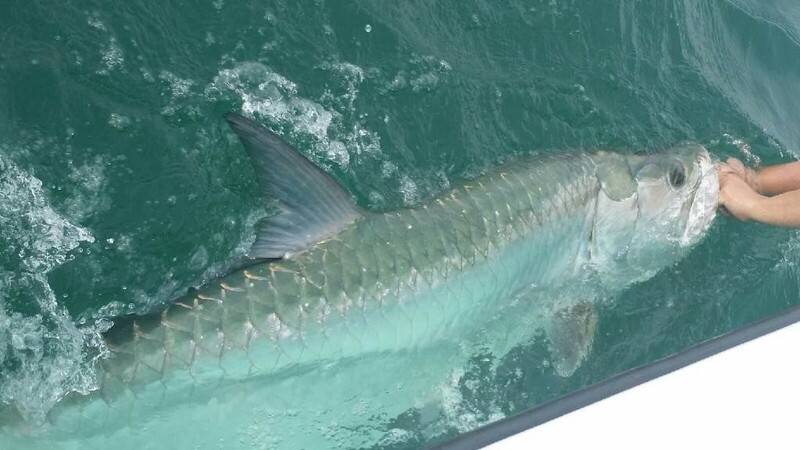 Huge Tarpon caught in Tampa bay! 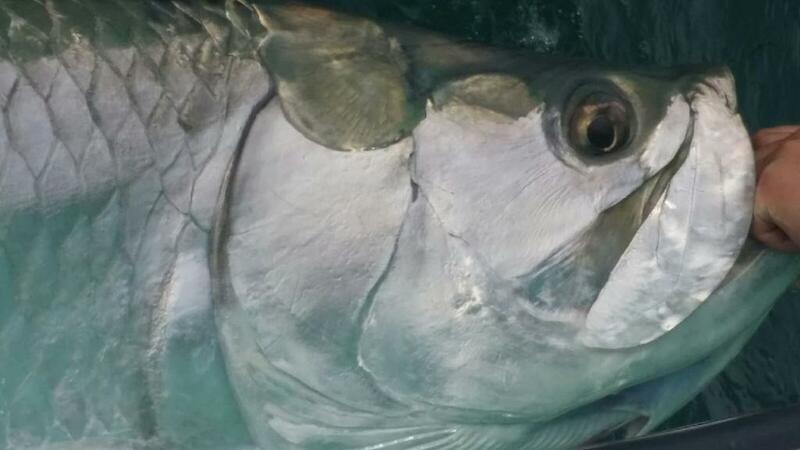 Tampa Bay is home to some of the best Tarpon Fishing on the West Coast of Florida. Tampa bay offers a fishery that can last as long as 8 months, and Tampa bay is home to both juvenile and adult Tarpon year round. 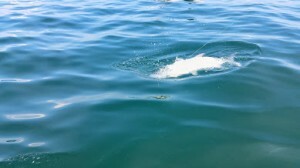 May, June, and July are peak tarpon season here along the West Coast, but early season and late season fishing can be extremely productive, and without the pressure. 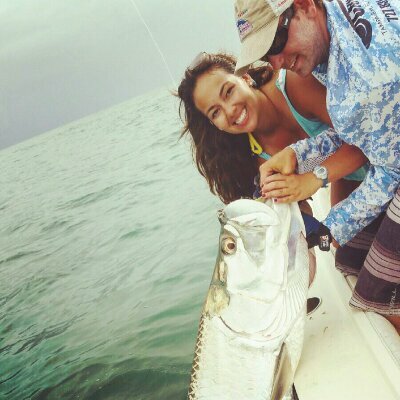 Tarpon Fishing Charters are done both Day and Night, and booking while in advance is highly recommended. 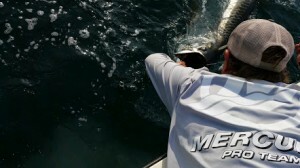 Tarpon Fishing is done with both spinning tackle and conventional tackle. Fly Fishing is available upon request. 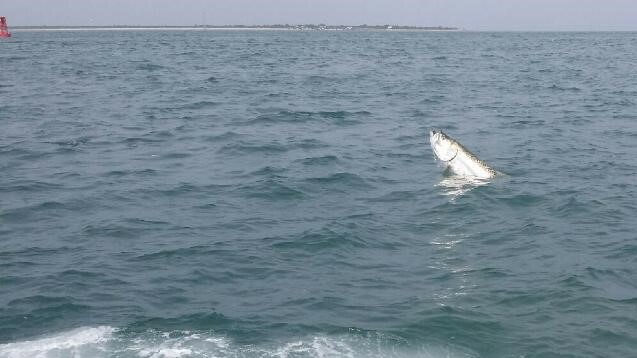 When is Tarpon Season? 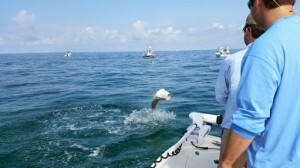 Tarpon season will start in April and will peak during May, June, and July during the spawning season. 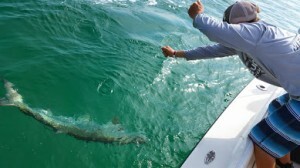 Tarpon fishing will remain good into October. Where are the charter done? 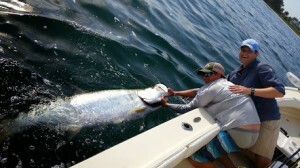 My Tarpon Charters move based on the fishing throughout the season, most fishing is done out of the St.Pete area. What time do we start fishing ? 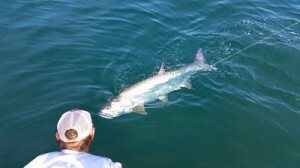 Tarpon fishing is heavily tidal dependent, hours of fishing will change based on the tide and type of charter. 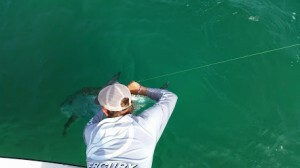 How many Tarpon will we hook? 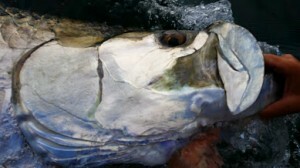 Tarpon fishing is often like trophy hunting, and there is no grantees. 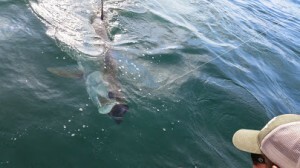 Although depending on the size of the fish and time of year the fishing can be world-class and number will vary. How long is a typical battle? Most fights will last anywhere from 20-40minuts with some being longer. 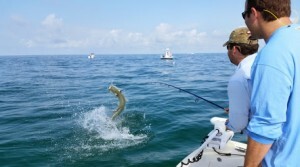 We stress getting the Tarpon in fast as possible for the best chance of survival and to avoid sharks, which are common. 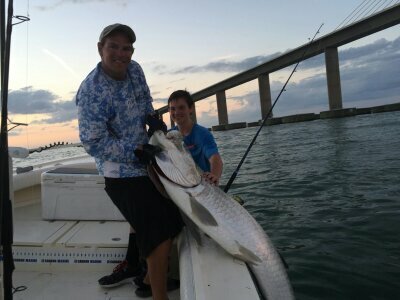 Can we keep a Tarpon? 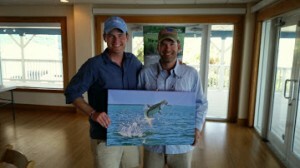 NO, Tarpon fishing is 100% Catch and Release,and any Tarpon over 40″ Must remain in the water for photos. We do are best to get the best shots of your trophy. Replica mounts can be made, and we work with the best taxidermist in the state of Florida, Grey’s taxidermy! 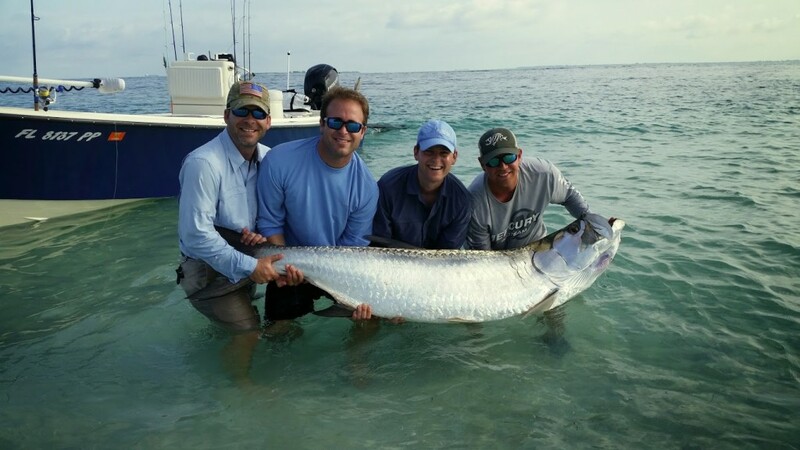 How big are the Tarpon ? 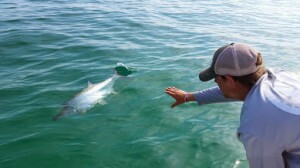 Tarpon vary anywhere from hand size to two hundred plus pounds. 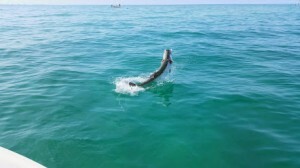 Most Tarpon we catch are anywhere from 80-120 lbs. 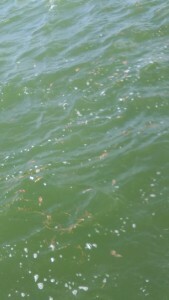 Along with Micro size Tarpon as well. Rates are for 1-2 anglers. $100 for each additional.